Take part of great discounts and apply for a trade account if you are an interior design professional, an interior retailer, a manufacturer or would like to become a UK stockist. 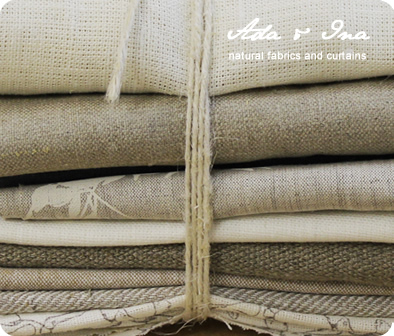 For trade customers, Ada & Ina offer trade prices and a bespoke service for our linen fabric curtains. Fire retardant treatments are available for all our linen fabrics and upholstery fabrics which will be used in public spaces. Ask us for a quote for FR treated fabrics. We have a stock of over 1000 fabrics in our Canterbury based warehouse. For larger quantities we can source full rolls of fabric to meet each company’s specific needs or find alternatives for you from our extensive sample collection of natural linen fabrics. Please let us know what kind of project you are working with and we will come up with alternatives best suited for your needs. We have supplied fabrics and curtains for many hotels in UK and abroad, restaurants, interior designers, property developers, show houses etc.